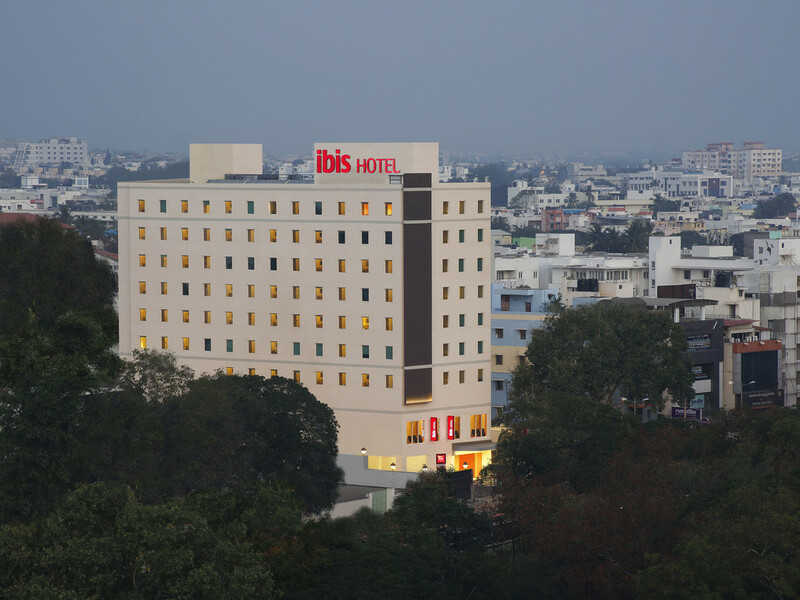 Located in the heart of the city's central business district at Lakshmi Mills Junction and only a 20-minute drive from Codissia Trade Fair Complex, ibis Coimbatore City Centre is the perfect destination for both business and leisure travelers. In the vici nity of Brookefields and Fun Mall, the hotel is close to Mundhi Vinayagar Temple (1.3 km),Gedee Car Museum (2.3 km) ISKON Temple (6.7 km), Perur Temple (12.2 km) and Isha Yoga Center (36.5 km) which is set at the foothills of Velliangiri Mountains. ibis Coimbatore City Centre is strategically located downtown with close proximity to corporate offices, banks, educational institutions and hospitals. The hotel is also close to the shopping district, Malls and 1.5 miles from Race Course road. Your sleep is our priority in our 129 modern, soundproof rooms with big fluffy pillows, super-soft duvet and high-tech mattresses that align with the density points of your body. The new Sweet Bed by ibis is difficult to leave!